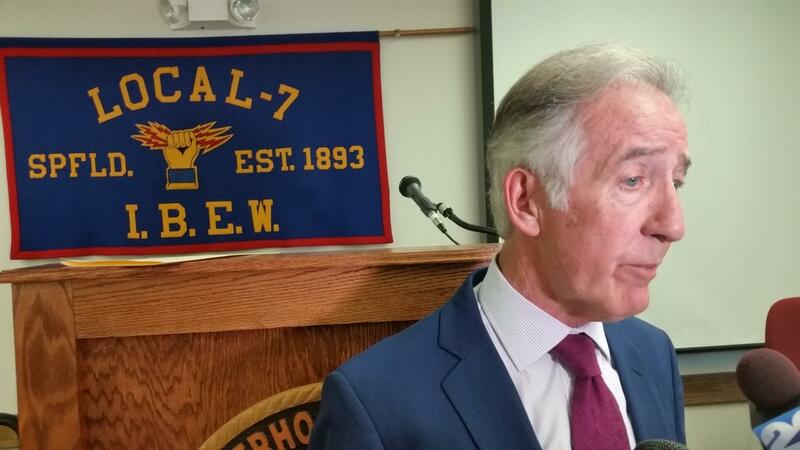 U.S. Rep. Richard Neal (D-MA1) speaks with reporters after a meeting in Springfield with labor leaders to discuss his bill to financially support failing multi-employer pension plans. 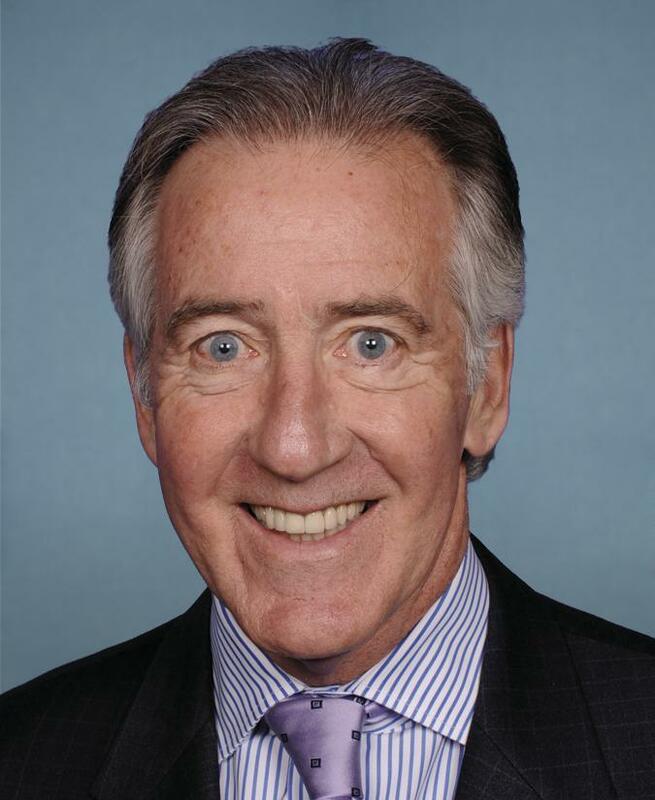 About 35 labor leaders participated in an hour-long discussion with Massachusetts Democratic Congressman Richard Neal focused on legislation he has introduced aimed at preventing troubled multi-employer pension plans from failing.
" This is not a Wall Street bailout. This is not a savings & loan bailout," insisted Neal. "This allows many of these plans to be nursed back to good health." The bill would create a federal agency that would sell U.S. Treasury-issued bonds and loan the proceeds from the bond sales to the financially-troubled pension plans. Multi-employer pension plans are negotiated between unions and trade associations representing industries such as construction and food stores where there are many small employers. Some of the plans are now at risk of insolvency -- not because of bad management, or poor investment decisions -- because of sweeping changes in industries such as trucking, which has greatly reduced the employer base contributing to the pension funds.
" Some of these plans are down to the last man standing, and that small company is incapable of meeting those obligations. So, we think the loan gaurantee is the path to follow," said Neal. One estimate is that up to 1-and-a-half million people are in multi-employer plans deemed likely to fail, while more than 3-and-a-half million people are in plans considered at risk. Neal said every Democrat in the House has signed on to his bill, but so far just 14 Republicans have pledged to support it. He predicted more Republicans would jump on board as the midterm elections get closer.
" It is a big deal," Neal said. The multi-employer pension problem is not as severe in the Northeast as it is in some other parts of the country, according to Glenn Kingsbury of the Electrical Contractors Association of Greater Boston, who is a trustee for several plans.
" The electrical industry is stable and growing, which helps us out," he said. " Some other industries, not so much." 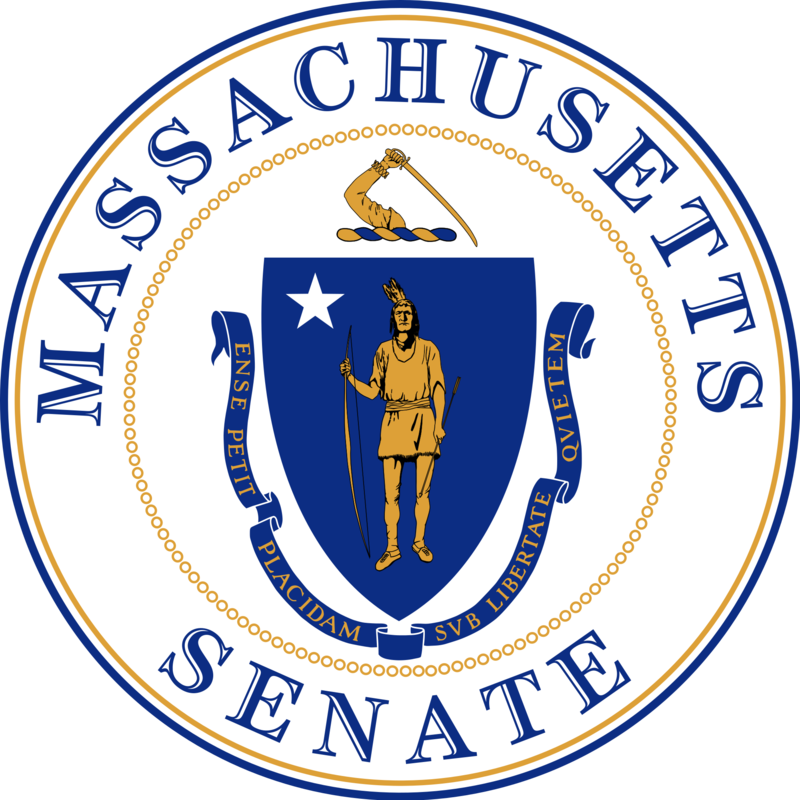 Frank Callahan, president of the Massachusetts Building Trades Council, said organized labor in Massachusetts supports Neal’s bill.
" We have a lot of gridlock in Washington right now and this is a problem that can't wait too long to be solved," said Callahan. Springfield attorney Tahirah Amatul-Wadud, who is challenging Neal in the Democratic primary on Sept. 4, put out a statement criticizing the 30-year incumbent’s voting record on pension issues. Neal scoffed at the criticism. "When you peddle nonsense, all you need is an enabler," Neal said to reporters. He said the campaigns are discussing dates for at least two debates prior to the September 4th primary. 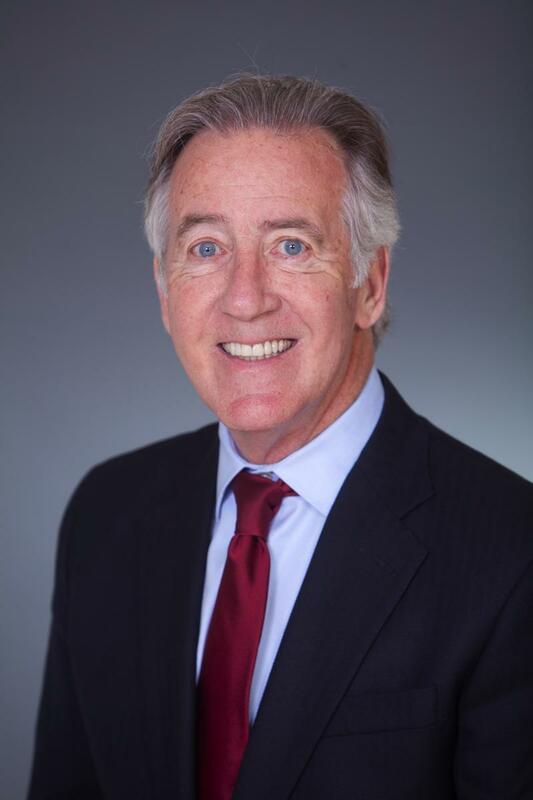 Western Massachusetts Congressman Richard Neal says that there’s a public relations campaign being waged against Special Counsel Robert Mueller. 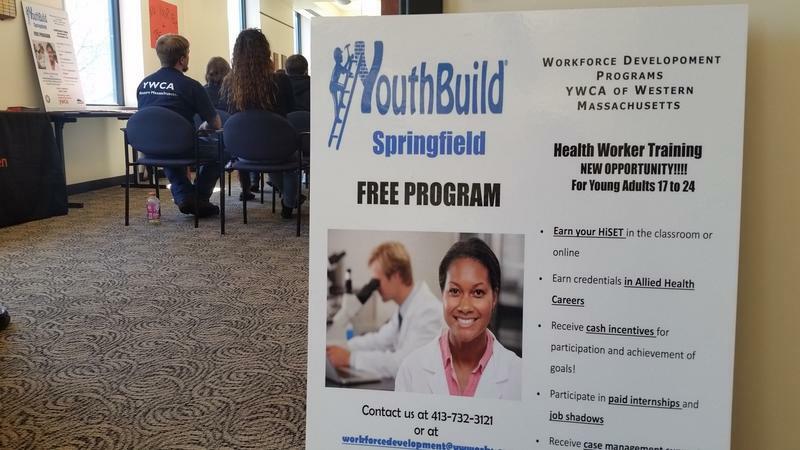 Federal funds are flowing into a workforce development program for high school dropouts in western Massachusetts.